The General Pastors Conference will take place Tuesday, May 21, 2019 through Wednesday, May 22, 2019 at Concordia University Chicago, 7400 Augusta St. River Forest, IL 60305. In Matthew chapter 7, Jesus states the obvious as a measure of false prophets – you can know the false prophets by their fruit. But then he offers the converse in Matthew chapter 12 – if you want good fruit make the tree healthy. What does it mean to be a healthy (agathos) or good (kalos) tree in the ministry? Sound (ugiainousa — healthy) doctrine, to be sure. But, as whole persons (body and soul) and the object of imitation among our people, it’s also clear that sound bodies and minds are necessary to fulfill the ministry. Let’s receive some direction on prioritizing the health of our pastors so that we can then promote healthy members and healthy congregations. Registration: All registration (individuals and exhibitors) is online at www.buytickets.at/generalpastorconference/248482. The access code is 1517. For those who wish to stay overnight, on campus housing is available. Concordia Hall is available for $75/night for a double and $50/night for a single. Other residence halls are available for $60/night for a double and $40/night for a single. To make arrangements for on-campus housing please contact Pete Becker at pete.becker@cuchicago.edu. If you do not want to stay at a residence hall, there are accommodations in the area such as Write Inn and the Carleton in Oak Park. Please note that we will not be reserving a block of rooms. 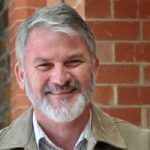 Dr. Andrew Pfeiffer is Lecturer in Pastoral Theology at Australian Lutheran College in North Adelaide, South Australia. He also serves as Assistant Bishop of the Lutheran Church of Australia. Dr. Pfeiffer holds degrees from the University of Adelaide (BA), Luther Seminary, North Adelaide (BTh), and Concordia Theological Seminary (STM, PhD). His particular interest is in the pastoral care of pastors. Dr. Pfeiffer is the author of many scholarly articles, including “Luther and the Pastor at Prayer” (2013) and “Finding Joy in the Pastoral Ministry (2010). Questions on Registration may be directed to Rev. Bo Graham, Registrar, at pastorbo@saint-paul.org. For additional information and updates, please visit nidlcms.org/general-pastors-conference.